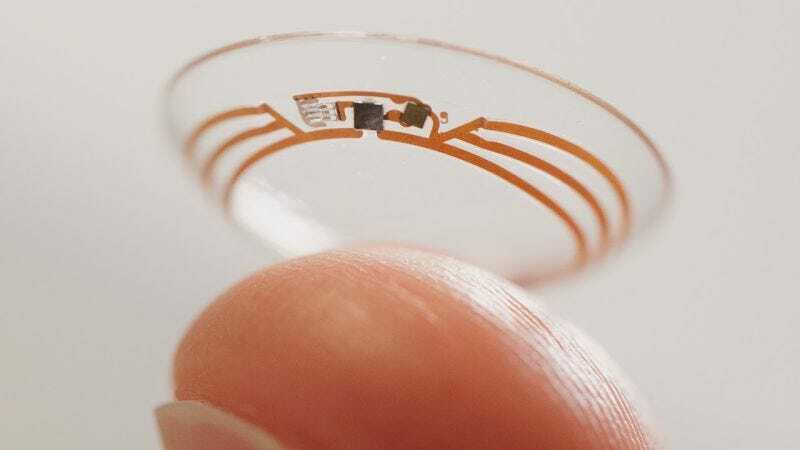 Google made some big promises about how it would cure what ails us, but now it looks like we may never get those diabetes-detecting contact lenses or that FitBit-like cancer-detection wearable. Too bad, seeing how the ideas were damn cool. The contact lens was meant to monitor blood sugar levels using tears, but the idea has been tried before, twice, and failed each time. In this case, Novartis, a major pharmaceutical company, even partnered with Google to license the technology. Experts say that the level of glucose in tears doesn’t really correlate to how much there is in blood. Silicon Valley arrogance is nothing new (let’s not forget the whole Theranos fall from grace). But because GoogleX’s other ideas—like the self-driving cars—sounded weird at first and have turned out to really move the dial, it’s easy to have high hopes for all their promises. A couple months ago, Google even patented a device that would be injected directly into your eye. But, much as we might hope otherwise, Google can’t exactly win in a war against science, and it looks like we’ll have to continue monitoring our blood sugar the old-fashioned and less cool way.